Seven videos I shot with a pixelvision kids camcorder from a WKDU Band Bash with Kitschchao, Temple of Bon Matin and Underagga. As for the bands I could only identify one song which was Kitchchao covering Riverbottom Nightmare Band from Emmet Otter’s Jug-band Christmas. So if anyone can identify any of the other songs let me know and I’ll update them. 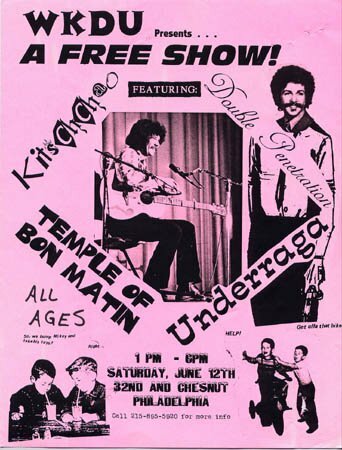 (Correction- 2nd Kitschao is White Boy and 3rd is Just Like Always / The Message – Thanks Dave) The flyer for the show June 12th so I’m guessing this was probably 1993. A box set of 4 7″‘s put out in 1994 by WKDU. 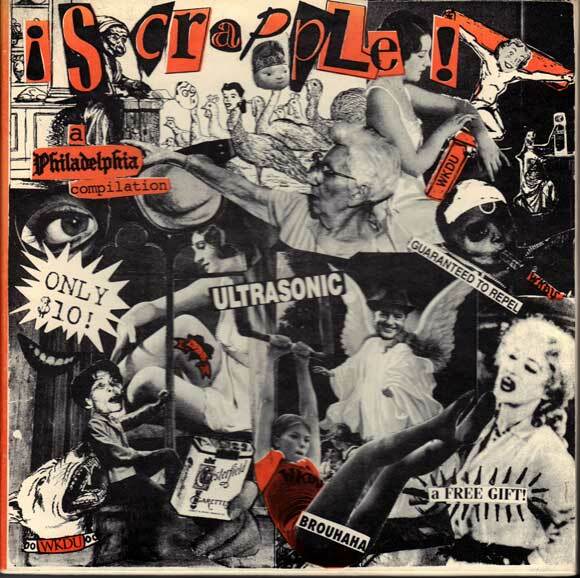 There are 16 bands all from the Philly area with a pretty wide range of styles. Below the tracks I have put up scans of the cover and the insert that came in the box – each band got a page of the insert.